Based on several pilot projects where we have experimented with pedagogies to support meaningful physical education, we have developed the following principles and ideas that might shape an approach to Meaningful PE. We are keen to point out that we don’t feel these are set in stone in any way: one of the main points of doing this work is to try them out so they can be refined based on teachers’ and students’ experiences and responses. Ideas about meaningful PE align with social constructivist theories of learning, where learning is viewed as a social process grounded in active inquiry and exploration, with learners making sense of knowledge through reconciling new experiences with those from the past. Teachers and students should work together, sharing responsibility for choosing the content of PE. For example, outcomes from our pilot research lead us to recommend that teachers shift from the authoritarian role of “instructor” to a more liberal role of “activity broker” by providing students with autonomy in their learning (Beni, et al., 2018). This follows Kretchmar’s (2006) argument that teachers should help students discover their “personal playgrounds” through providing opportunities for deep play (extended engagement encounters) in learning environments conducive to exploration and experimentation. This means that the Meaningful PE is not limited to, for example, games content: it is appropriate across all PE subject matter (games, dance, gymnastics, aquatics) and can be linked to the particular outcomes and expectations described in official curriculum documents across a variety of contexts. The features of meaningful PE identified in our major review of literature (Beni, et al., 2017) guide teachers’ decisions about planning and instruction: (1) social interaction, (2) optimal level of challenge, (3) fun, (4) improving motor competence, (5) personally relevant learning, and (6) delight. Tasks are selected and/or designed based on their potential to help students engage with or experience the features of meaningful PE. From our pilot research, we recommend that the features be thought of as integrated rather than as a checklist. Teachers employ strategies that support students in exercising autonomy. For example, students collaborate with teachers to make decisions about the type and nature of tasks they will engage in (and for how long). Pilot testing showed that students highly valued experiences where they felt supported in making autonomous decisions about how they engaged with PE content, including: selecting specific tasks based on personal level of interest or challenge; contributing to group composition decisions; modifying tasks to tailor the level of challenge to individual skill levels, and; identifying tasks to be assessed in culminating activities (Ní Chróinín, et al., 2018). When students are allowed more control of their own PE experience it allows them to carry out activities they find meaningful in their own right, and engage with tasks that have relevance for their lived realities. Students are encouraged to identify short- and long-term goals for their learning. Pilot testing showed that goal-setting facilitates personally relevant learning for students where they can identify ways to transfer learning to their lives outside of school. Teachers engage students in reflective processes (e.g., journalling, probing questions) during and after PE lessons. Reflections allow students to identify the nature and extent of the meaning they make in PE and make sense of their experiences (O’Connor, 2018), while also serving as an assessment tool for teachers. Students who participated in pilot testing described the public posting of the features of meaningful PE (e.g., on a poster) as being particularly helpful to identify how they made meaning in PE. The LAMPE blog has been a little quiet recently but we are hoping to add some new content over the months ahead as our projects develop. We have several things on the go and wanted to update readers on what we are doing and why. As you may know we continue to add to our suite of pedagogical cases focused on meaningful physical education, where we are trying to create somewhat authentic representations of what meaningful physical education looks like or could look like in action. We still have a few of these we are hoping to post in the coming months. Our work focused on university teacher educators’ practices has taken some twists and turns in promising directions. We have worked with Richard Bowles (@rbowlesoola), Maura Coulter (@MauraColt) and Doug Gleddie (@doug_gleddie) to see if the LAMPE practices Déirdre, Tim and Mary worked to develop could be understood, expanded, and refined to other teacher educators working in different courses and different contexts. We’ll have some updates on the outcomes of that work soon but for people who might be going to AERA in Toronto in April, PHE Canada in Montreal in May, or AIESEP in June, you can get a sneak peak as we’re presenting bits and pieces of the data at those conferences. We’ll update our presentations page in due course. It has been fantastic to expand the LAMPE team and learn from and with each other on this arm of the project. The main objectives we are pursuing with meaningful physical education have shifted from sites of teacher education and into schools. We have been able to do this with funding from the Irish Teaching Council and from the Social Sciences and Humanities Research Council of Canada. 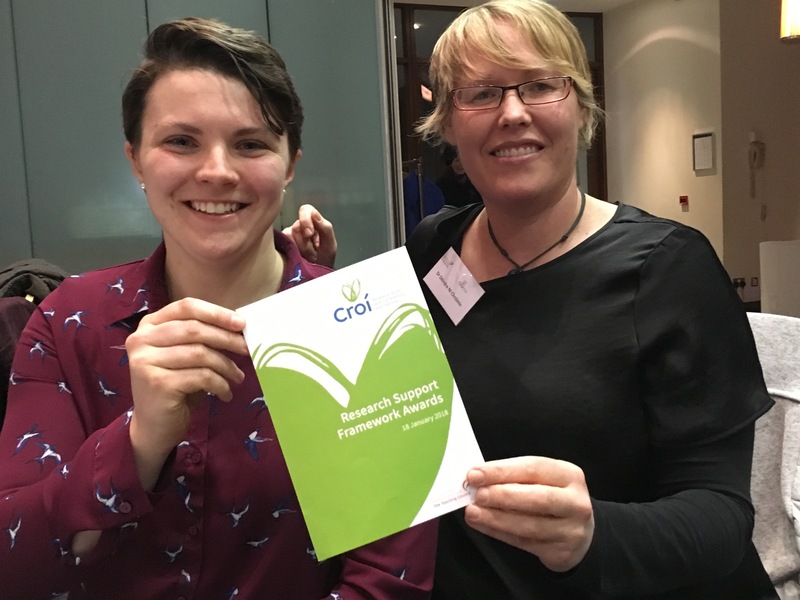 In Ireland we ran a pilot study using ideas from Stephanie Beni’s and Ciara Griffin’s work, working with several teachers to try to make meaningful physical education an enacted priority in their physical education classrooms. We are analysing data from that work and hope to share that soon. This in turn has informed what we are doing in Canada, where we have begun working with two cohorts of teachers in Ontario (led by @StephBeni) and Alberta (led by @doug_gleddie and @JodiKuriger), introducing features and pedagogies of meaningful physical education to them. Our aim is to work with teachers to refine and modify our current ideas based on their experiences and the realities of working in schools. Our communications with @andyvasily on his blog, podcast and twitter give some idea of what this might look like – the work Andy and his team are doing at KAUST has been invaluable in offering innovative ideas and new directions for meaningful PE. Over the next few years we hope to add cohorts across the several different sites we are working with, using teachers’ and students’ experiences with hopes to create a coherent idea of how meaningful experiences might be provided with intention and regularity. In the next post, we’ll share some preliminary ideas shaping our approach to meaningful physical education in primary schools. As always, any feedback or suggestions are most welcome, particularly from teachers who would like to share their experiences. We recently had an article accepted in the journal Professional Development in Education where our focus was on being intentional in accessing and responding to PETE students’ engagement with their learning about meaningful PE. Déirdre and Tim had felt that prior to the study, many of their ideas about students’ engagement with their learning came from casual observations of students’ body language (e.g., smiling, looks of boredom). While this has some value, it comes mainly from our own lopsided interpretations and we felt this did not go far enough to really get a sense of what our students felt about their learning – their aha moments, times of joy, their struggles, confusion and so on. Specifically, we wanted to find out how our students were engaging with the pedagogical principles of LAMPE (described here) by being more intentional in how we accessed and responded to their engagement with their learning about teaching. Some of the things we did to be more intentional included: frequently using exit slips and other sources of written reflection that contained both open-ended and pointed questions about students’ learning; focusing small and large group discussion on students’ learning about meaningful PE, and; observing students making adaptations to the principles of LAMPE. One of the interesting outcomes of this research was seeing how we responded to our students’ engagement using aspects of reflective practice. In particular, we came to see how Déirdre and Tim did this differently but with similarly helpful outcomes. For example, Déirde tended to use students’ responses to their engagement with their learning to shape her reflection on-action – that is, how she reflected on lessons after the fact. This informed her planning for subsequent lessons. In contrast, Tim tended to use students’ responses to make decisions in the moment – reflecting in-action (and using the watch mechanism metaphor). We don’t see much point in advocating for one type of reflection over the other but our work shows that different teachers/teacher educators can benefit equally from using various types of reflection they see as being helpful for their work and for their students’ learning. This allowed us to be more intentional in how we accessed students’ perspectives on their learning, and while we don’t feel we achieved the same extent of student voice in PE done so well by, for example, Eimear Enright and Mary O’Sullivan , we are certainly doing it better than we did before. Importantly, this has allowed us to go back to our own ideas, planning, instruction, and assessment to refine some of the things we have been working on around meaningful PE based on what our students have been telling us. You can access the full text of the article on the PDE website here or the accepted full-text on our Publications page here. The LAMPE team has been away from the blog for a while but that does not mean we have stopped our work in unpacking and articulating pedagogies that promote meaningful experiences for learners. 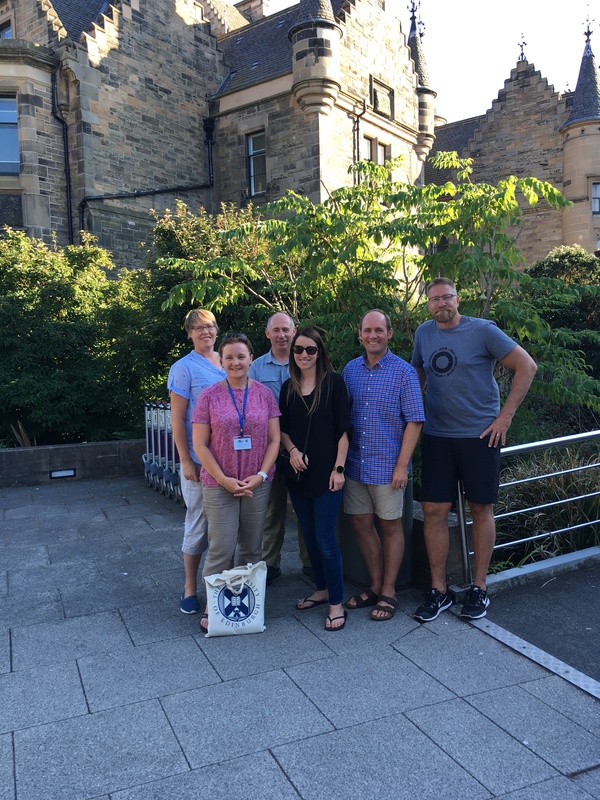 We have expanded our work to involve other teacher educators who work in universities in Canada and Ireland, as well as exploring what pedagogies that promote meaningful experiences might look like for teachers using them in schools. In discussing LAMPE pedagogies with others, the features that we have explained at length seem to resonate strongly with others: social interaction, challenge, fun, motor competence, delight, and personally relevant learning. However, they resonate in different ways. One of the things we have tried to argue for in some of our work so far is to avoid using the features as a checklist as we feel this can limit the potential of promoting meaningful experiences. Instead, we suggest that the features are integrated, with each working off the other. A metaphor can be a useful tool to explain how at least some of us think about the integrated nature of meaningful experiences. 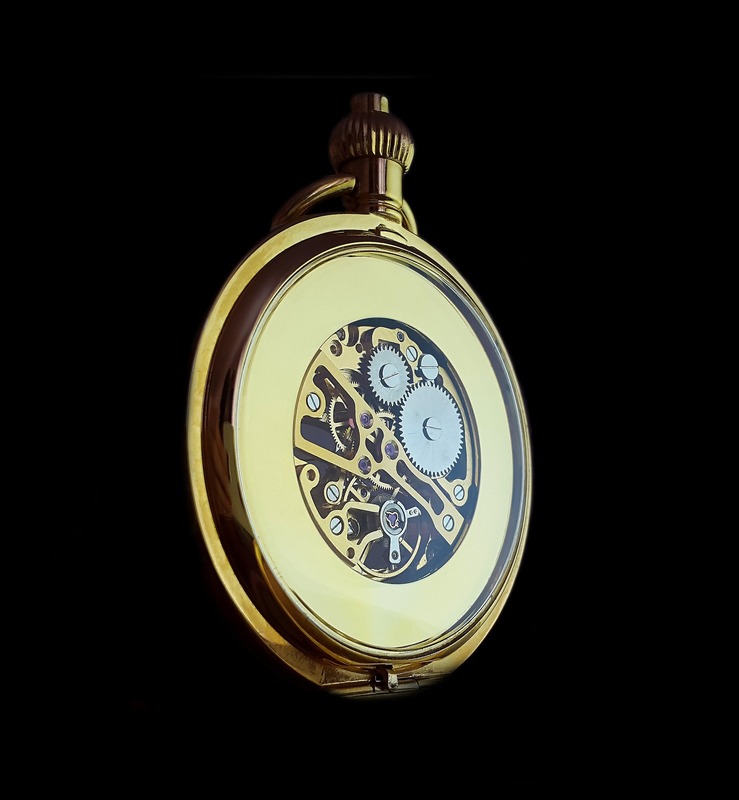 Tim likes the metaphor of a watch or clock mechanism, where each of the features is represented by the different wheels that work together inside the casing. The watch mechanism metaphor allows different features to be emphasized in different ways: the larger wheels represent features that take on greater significance for the teacher or teacher educator. For example, Tim tends to prioritize relationships in his philosophy of teaching, and so the feature of social interaction represents the largest wheel in the mechanism. When positive social interaction occurs, it can drive learners to challenge themselves more because they may feel they have the support and help of their friends or peers, and feel safe to make mistakes in the classroom. Increasing the level of challenge can produce more competent movement, which in turn may lead the learner to have more fun, and see greater relevance in physical education. Importantly, no matter the size of the wheel, they all play a part in making experiences meaningful. This is one example and we are interested to hear if others have similar or different metaphors that may help explain they way they think about the features of meaningful experiences. Tim and I have recently published a paper outlining pedagogical principles of Learning about Meaningful Physical Education (LAMPE) we have developed in our physical education teacher education programmes. At the recent Physical and Health Education Canada conference Tim and I presented on our experiences of implementing LAMPE pedagogies. We identified critical incidents from across a one-year period of implementing LAMPE pedagogical principles in our PETE courses from data sources including teacher educator weekly reflections, critical friend responses, non-participant observations, and student work samples developed in lessons. We shared decision-making moments that illustrate how we drew on LAMPE pedagogical principles in our teaching to support our students learning about meaningful physical education. The first incident we shared occurred during a station-based teaching activity when some of the students in Tim’s class started playing around with the hula hoops in unintended ways during the transition between stations. Tim drew on LAMPE principles to help him and his students reinterpret what might be perceived as being off-task activity and positioning participants as co-constructors of an activity they were finding value in (i.e., they were having fun, interacting positively with each other, challenging themselves and developing some skills. In the second incident Tim’s students were struggling to implement the rules of a games-based activity which they described as ‘boring’. Tim drew on the LAMPE principles to direct students to make changes to both the challenge and social interaction elements of the activity to better align with features of a meaningful experience. In the third incident Déirdre developed a peer observation activity in response to student uncertainty about the practical implementation of meaningful physical education. Déirdre drew on LAMPE principles to develop an activity in which students engaged cyclically in planning, teaching, observing and reflecting on how to teach physical education framed by the features of meaningful physical education. These examples of moment-to-moment and day-to-day decision-making illustrate the value of LAMPE pedagogical principles in guiding our decision-making to support student learning about meaningful physical education. Drawing on LAMPE principles resulted in a shared language of learning and a more coherent learning experience for our students.